With so much of our every day life relying on our cell phone, things like weak signal, dropped calls or slow data speeds can have a major impact. Fortunately, there are a number of things that you can do to improve your cell signal for clear calls and fast data speeds. We’ll cover 20 things that you can do to help improve your cell signal today. Update your software. You know those messages you sometimes receive about updating your carrier software? Those updates are what tell your phone what towers to connect to. Ideally, you should always update, but if you haven’t recently, then you should check now whether you need to. Follow the applicable instructions for your Android or iPhone phone. Turn off any services you’re not currently using. Services like WiFi, Bluetooth and Near-Field Communication (NFC) can sometimes cause problems by either trying to send your calls and data over a different service or allowing other devices to use up bandwidth that is needed for fast data or clear calls. Try disabling them on your phone and see if your signal improves. Change your Voice and Data settings. Sometimes the 4G LTE network that you're on is overloaded and the 3G network, while technically slower, is actually a better option. If you’re on the 4G LTE network, try disabling it on your iPhone or Android phone (if supported), which will automatically switch you to the 3G network. Turn airplane mode on and off. This will force your phone to reconnect to the cellular network. If you’re in an area that should have good signal but your phone doesn’t show it, try turning on and off airplane mode to force the phone to reconnect. Reset your network settings. This is a last resort of you still can’t get your phone to connect and other phones from the same carrier are working in your location. Here are the instructions for Android and iPhones phones. Manually re-select the network operator. This one only works for Android phones. Go to "Settings > Find Mobile Networks > Network operators". It will re-scan for all the networks available in your area. Check out this video to see how it's done. Move up a floor (or multiple floors). Signal tends to be better on higher floors, as you're able to clear obstructions closer to ground level. If you're in a basement, moving up to the ground floor can help immensely. Move closer to a window. Cell signal has an easier time entering a building when it’s not blocked by the construction materials, like brick, block, siding, or sheet metal, that the building is made of, so windows are typically areas where you'll receive stronger signal than behind a solid wall. Go outside. The construction materials that make up the walls and roof of a building block cell signal, so going outside should allow you to receive a stronger signal from the local cell towers. Move to higher ground. Mountains, hills, trees and other obstructions can often block signal. Moving to higher ground makes you more likely to connect with a cell tower and receive stronger signal. Find our where your closest cell tower is. Put your city or zip code into Cell Reception or Open Signal to see a map of your local towers, and then try to either locate yourself on the same side of the building, or change your location entirely. Reorganize your space. Certain objects in your home or office tend to block signal, like metal filing cabinets, refrigerators, decorative waterfalls, and solid furniture. Rearranging these objects so they’re not between you and the outside cell signal can help. Remove trees & bushes. Trees, bushes and any other living thing is made up of water, which blocks cell signal to varying degrees. If possible, trim unnecessary branches, remove overgrown bushes, or cut down entire trees to create a more open surroundings. Use different construction materials. Next time you’re deciding on a home improvement project, consider researching how that material might affect your signal. Metal roofs, brick walls, and energy efficient building materials all block signal more than alternative materials. Open your window. If your windows have an energy efficient coating applied to them, then unfortunately it also blocks cell signal, so opening your window can allow the cell signal to penetrate into the room. Switch to a carrier that has better coverage in your area. While not typically a cheap option, switching to a carrier with better coverage in your area can be a good way to solve your cell signal problem once and for all. Review the coverage maps for each carrier (Verizon, AT&T, T-Mobile, Sprint, US Cellular) and talk your neighbors to find out what carrier other people in the area use. Have your phone checked for damage. If you're in a location where other people with phones on your carrier have good service, but you don't, then that might be a sign that your phone, or more specifically the internal antenna, has been damaged. Your best bet is to bring it into the store where you originally purchased the phone and have them perform an analysis to see if the phone is operating as it should. If not, then it might be time for a new phone. Use WiFi calling While not technically a method to improve your cell signal, making calls and using data over WiFi is one way to maintain contact with the outside world when there is no cell signal available for you to improve. Here are instructions on how to use WiFi calling on your iPhone and Android phones. Get a network extender. 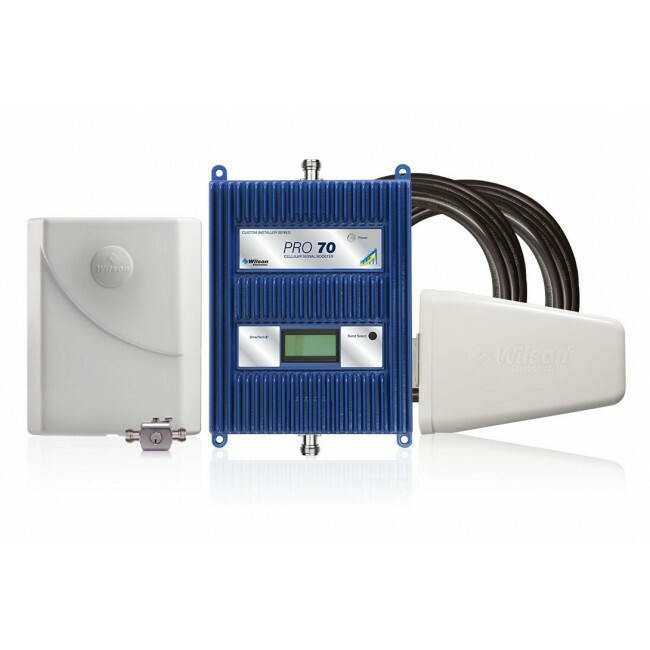 Network extenders, also called femtocells or microcells, are devices sold by your carrier that create a cell signal in your home and route all of your cellular calls and data over your broadband internet. 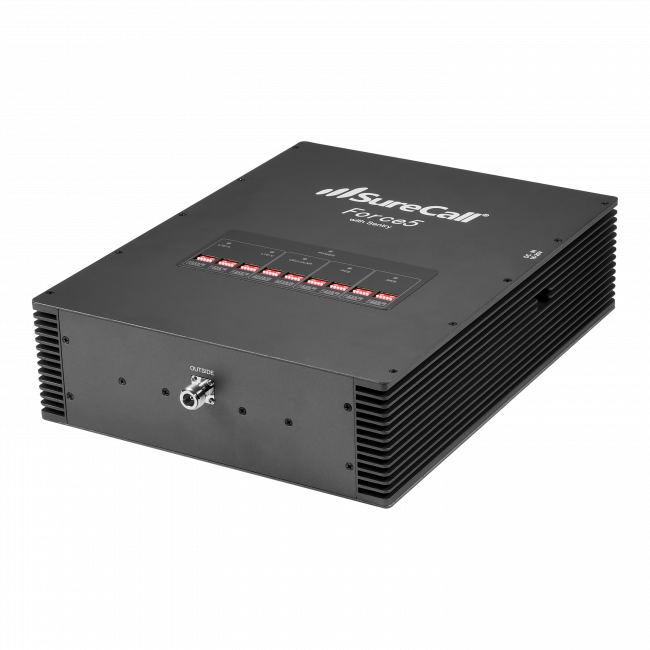 While there are some downsides to network extenders, like call handoff issues, if you don’t have any cell signal outside, then it's going to be your best option. Read our article about network extenders for an in depth look at this solution. Get a cell phone signal booster. 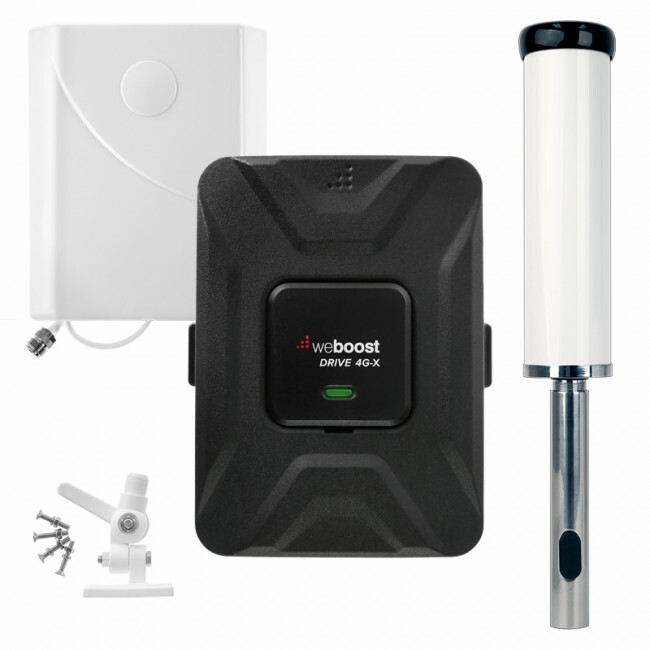 Cell phone signal boosters, sometimes also called cell repeaters, take an existing outside cell signal, boost it up, and then distribute the strong signal inside your home, business or vehicle. They work with all networks simultaneously, have no recurring fee, and are a great option if you have some outside cell signal. 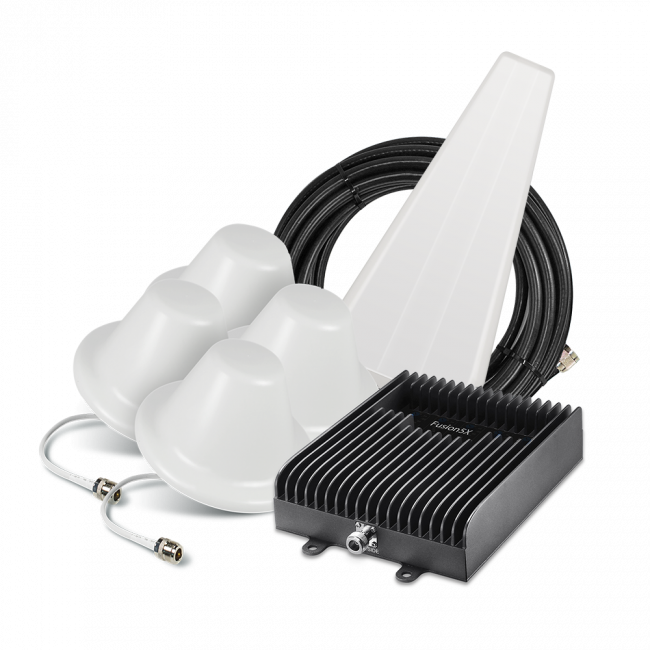 Read our guide to cell phone signal boosters to learn more about this solution, or use our product chooser below to find the right solution for you.